What's New for the 2019 Lincoln MKT? This year, the turbocharged V6 engine with all-wheel drive comes standard on all Lincoln MKT models to give great performance to all owners. All models now come with premium audio, new advanced safety features, a panoramic sunroof, and an adaptive suspension system. 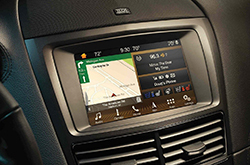 How is Lincoln Changing Infotainment? 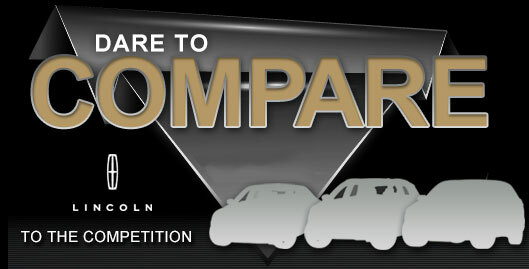 There are two trims available for those who want to take home the 2019 Lincoln MKT. The Base trim includes adaptive xenon headlights with automatic high beams, panoramic sunroof, auto dimming mirrors (both driver-side and rearview), rear parking sensors and a rearview camera, keypad entry, keyless entry and ignition, adaptive suspension dampers, leather interior, tri-zone automatic climate control, a heated and power-adjustable steering wheel, memory functions for the driver seat, and power folding 2nd and 3rd row seats, along with tailgate seating. On top of all that, you also get a Sync 3 infotainment system with an 8 inch touchscreen, navigation, hands-free connectivity, dual USB ports, and connectivity for your Apple iPhone or Android device. 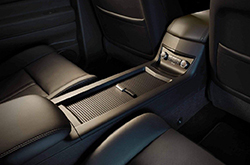 For your audio needs, there is a 10-speaker surround sound system and included satellite radio. A premium Reserve trim has all the many features of the Base trim, but upgrades from 19 to 20 inch wheels, lane keeping assist, adaptive cruise control, forward collision warning system and an automated parking system for ultimate ease-of-use. Is the Lincoln MKT a High Performance Vehicle? All versions of the 2019 Lincoln MKT come with an all-wheel-drive system with a 6 cylinder, 3.5 Liter Turbo engine that can output 365 Horsepower at 5700 RPM. The automatic transmission provides around 17 city and 21 highway mpg with truly top-tier performance and power. 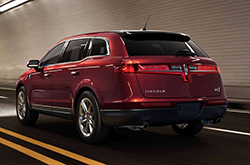 Whether you're looking for power or conserving gas on your next trip, you will find something you like while test driving the 2019 Lincoln MKT. You and your family's safety is paramount, so the 2019 Lincoln MKT comes loaded with many advanced safety features. The Blind Spot Information System can sense and warn you if there is another vehicle approaching you from your blind spot. In the same vein, Collision Warning with Brake Support will warn you before a frontal collision happens and assist you in breaking to avoid an accident. A Lane Keeping system warns if you may be drifting out of lane, and can even automatically steer to help keep you in-lane. Rear parking sensors and a rearview camera keep you safe when backing up. 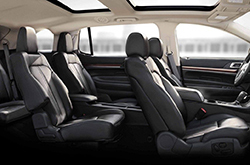 With a bevy of safety features you can be sure that you and your loved ones will be safe when you're in a 2019 Lincoln MKT. If the features, power, and safety afforded by the 2019 Lincoln MKT sound like something you'd be interested in, please come down to Grapevine Lincoln today and take a test drive!